*This is a collaborative post & features affiliate links. See my disclosure policy for details. We tried semi-wild camping at Birkheads Wild in Gateshead last week (more on that soon) and have to say we loved it! Having a field all to yourself instead of sharing with other campers was a new experience for us and we loved the space and freedom that wild camping offered. Most of the land in the UK is privately owned and you do need a land owners permission before you pitch up. There are parts of Dartmoor where you can wild camp without permission and The Scottish Highlands, parts of The Lake District and Snowdonia are also worth looking into. 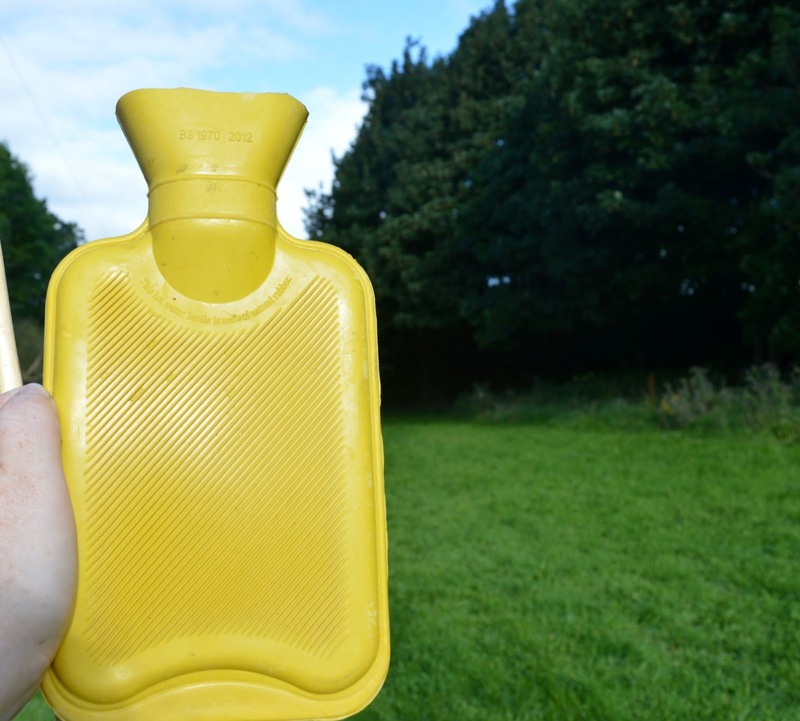 Obviously, you need the basics such as a tent and sleeping bags but I thought I'd put together a list of items that really helped us during our first wild camping experience. We are lucky and we stayed in a field that had a compost toilet. 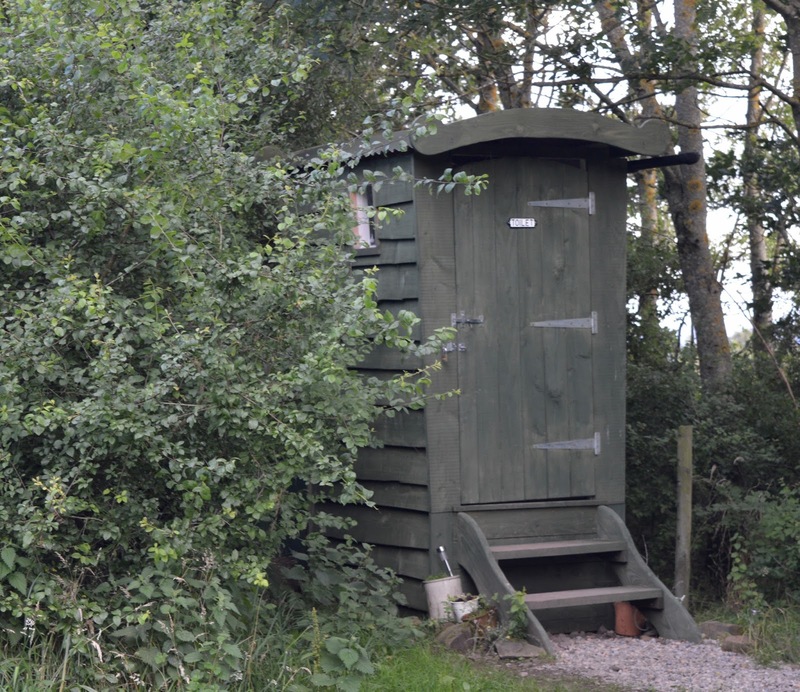 At first mention, a compost toilet sounds grim but we've used them a few times now and in all honesty, I think they are nicer than regular toilets! There is no chance of boys weeing on the floor or seat as they have to sit down and they don't smell at all. If you aren't lucky enough to have access to a compost toilet on site, a lightweight toilet trowel is recommended. 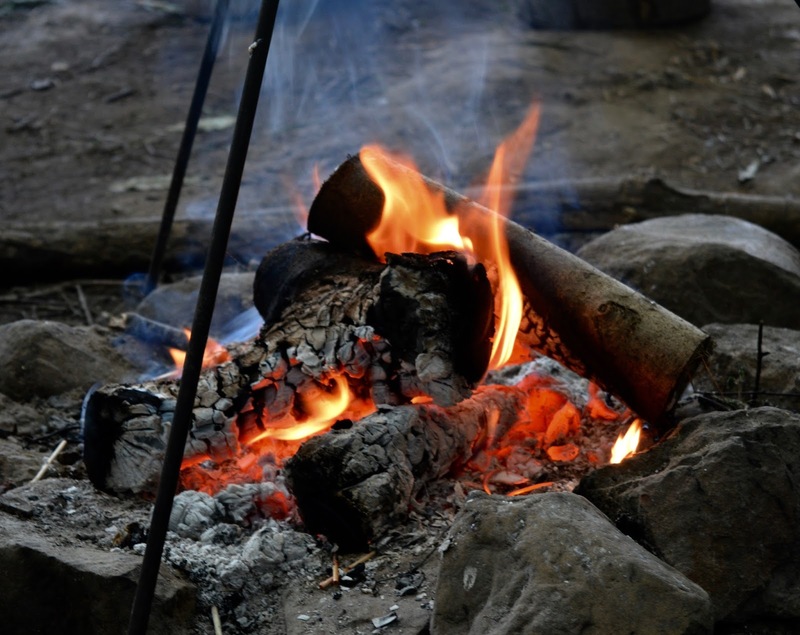 In 2011, a survey of UK local authorities found that reports of mosquito bites were 2.5 times higher than the previous 10 years and prevention is certainly something you should think about when camping in the wild in the UK. 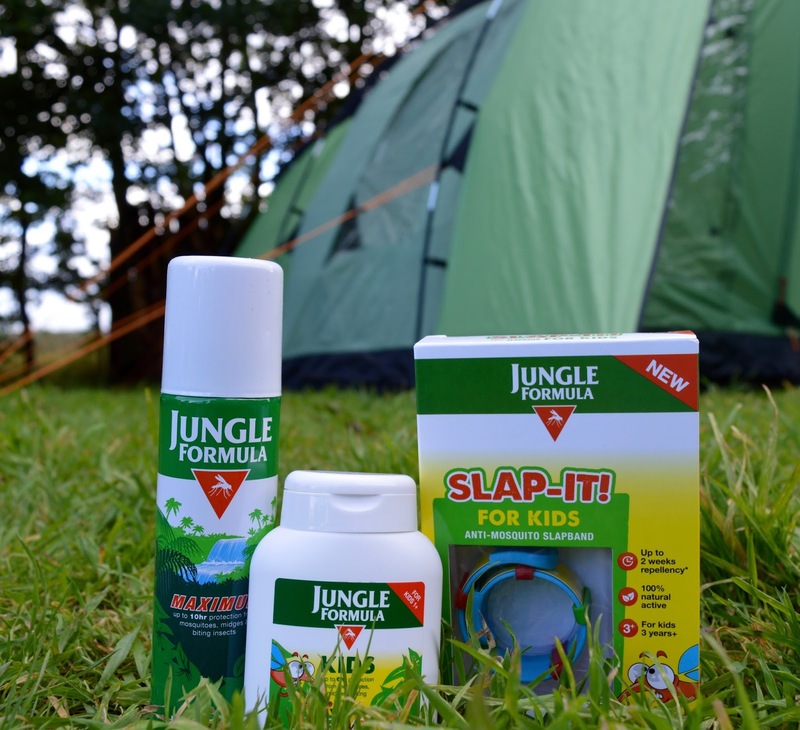 Jungle Formula is the UK's leading brand when it comes to mosquito protection. 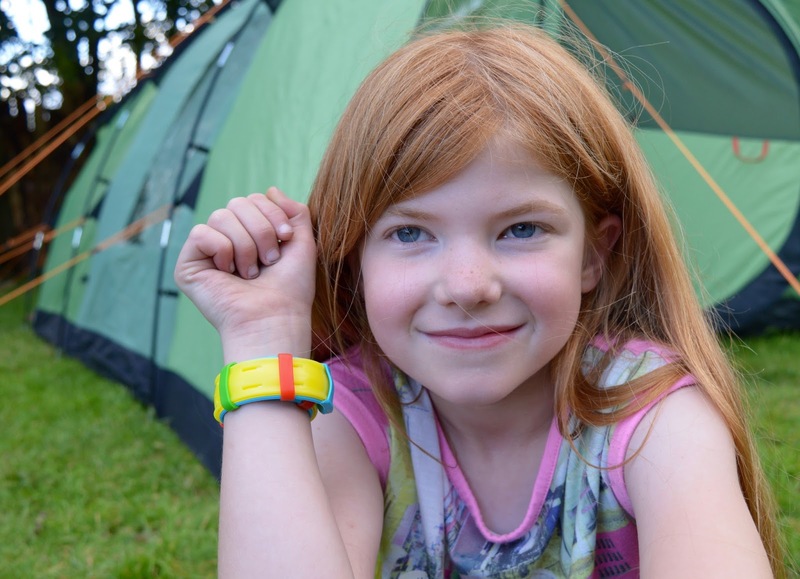 We love their kids range and my three wore a 'Slap it' wrist band during our most recent trip. The bands provide up to 2 weeks worth of protection from mosquitos and biting insects if worn for 8 hours per day - they worked for us and the kids enjoyed wearing them too. Camping in the UK can get chilly, even in august. I would highly recommend packing a hot water bottle to keep you snug at night. You need something to entertain you during a wild camping trip. 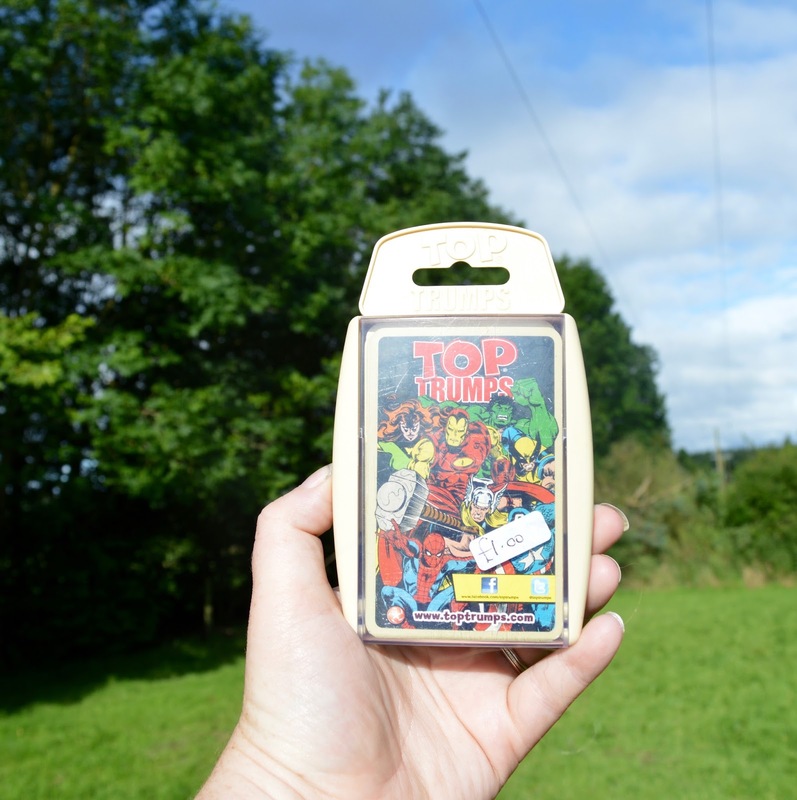 I'd recommend taking a pack of cards or top trumps as they don't take up too much room. I must admit I do prefer camping with our electric hook-up but this isn't possible when camping in the wild. Luckily, there are a range of solar powered products on the market now and I'd definitely recommend a solar powered torch, lantern and even power bank for your phone. You just can't trust the weather in the UK. During our recent trip it was pouring down when we left the house in the morning, then it was brilliant sunshine in the afternoon which was followed by drizzle in the evening and wind in the morning! If you wake up and it's sunny, don't be lulled into a false sense of security and always pack your waterproofs! Quite often with wild camping you will have a bit of a walk from where you've parked your car to find the perfect spot. Lightweight tents are one answer but if you're camping with the family you'll often need to take a larger tent. I highly recommend investing in a trolley which can easily transport all of your gear. They double up as something for the kids to play with too! This one from Amazon can hold up to 100kg and conveniently folds down when not in use. It is SO important when wild camping (or any kind of camping actually) that you leave no trace. The area you camp in should look exactly the same when you leave as it did when you arrive. Don't forget to pop a bin bag in your essentials kit and it's really important that you take the bin bag home with you can don't leave it behind. 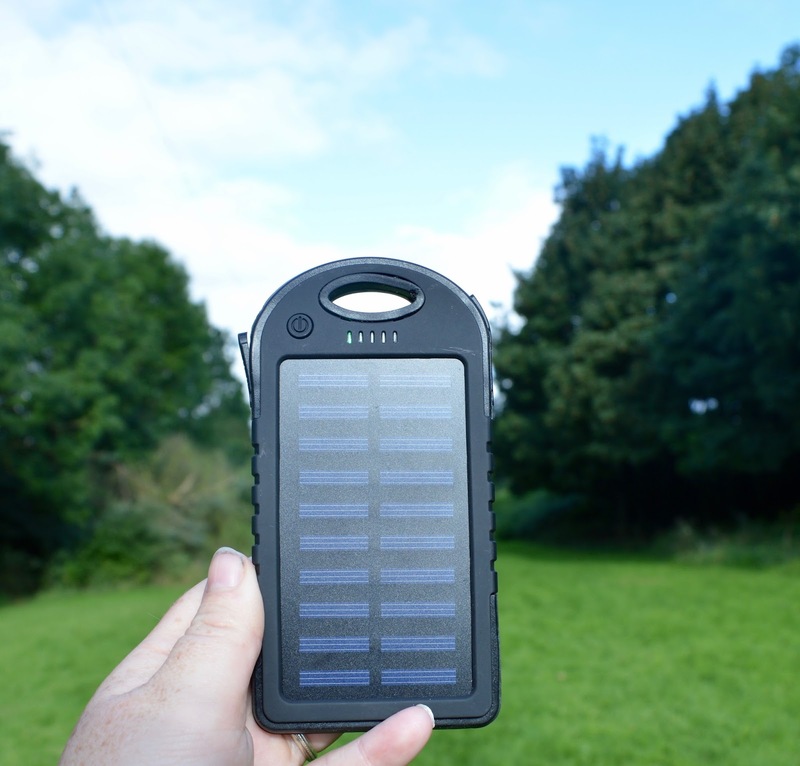 Wild camping can mean limited phone signal or battery so it might be back to basics with no more google maps! 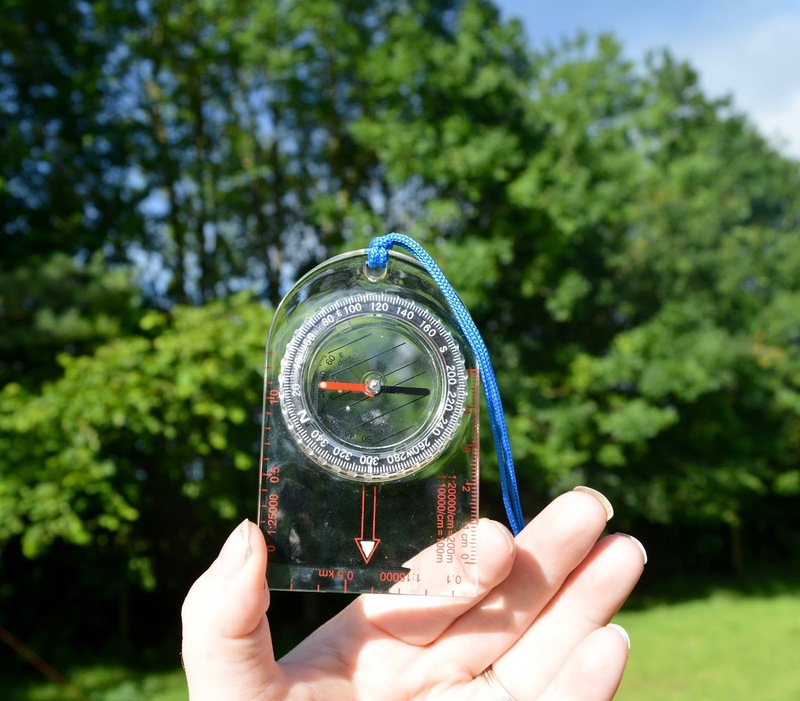 We use this compass from Millets which we like as it can be worn around the neck and has luminous pointers. Steve also wouldn't go anywhere without his pen knife and I do have to admit - we used it a lot! From cutting twigs for the fire to opening beers, a swiss army knife really is invaluable and probably the most versatile piece of kit you can invest in. Let me know if I've inspired you to try wild/semi-wild camping this summer. Simply enter via our rafflecopter giveaway below. Giveaway ends on 27/8/17 Good luck. Use an effective insect repellant, such as Jungle Formula. Use an effective insect repellent and hopefully the little blighters will not bite. I think those repellent wrist bands are a great idea. Use an effective insect repellent. Nets are more effective if treated with insecticide. Wear loose fitting clothing with long sleeves,long trousers, socks and shoes. Wear correct clothing and jungle formula ! Wear loose, light colored clothing and cover as much of you as possible. Wear loose fitting clothing that is light in colour and has long sleeves and long trousers, socks and shoes. Use an effective insect repellent. I'm so tasty to insects, for me it's the only way! !